Focused on providing the best service to our customers. To improve the quality of your life through the best products and services. 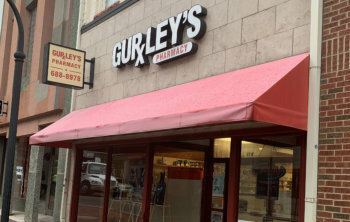 Since 2004, Gurley’s Pharmacy has provided Durham and its neighboring communities with professional retail pharmacy services. Gurley’s Pharmacy provides free, next-day delivery services around the triangle (Durham/Raleigh/Chapel Hill) for all prescription drugs. Contact us during our operating hours, and we will gladly assist you in getting your prescription drugs to you in a timely manner. Just like Holly Park Pharmacy, we also offer compliance packaging, Long-Term Care services, specialized medications, and convenience store supplies. Drop by today and allow our friendly staff to continue to serve you with the service you have come to trust.